Good morning! I sure hope your Monday is off to a great start :). I'm up on the Papertrey Ink blog today with a Make it Monday tutorial sharing a card created using ink blending over colored cardstock. I tend to always color blend over white cardstock, transforming the stark white into brilliant pops of color, but have loved trying ink blending on colored cardstock. It creates such lovely shades of color, from soft to brilliant, deep, and bold, accenting your cardstock color. On this card, I used a block of Harvest Gold cardstock and after heat embossing my Butterfly Folk Outline butterflies, added color in Summer Sunrise, Sweet Blush, and Aqua Mist. I then stamped flowers from the Butterfly Folk stamp set in Summer Sunrise and added a vellum butterfly heat embossed using white embossing powder...same as on my cardstock block of Harvest Gold. My sentiment comes from the Keep it Simple: Okay stamp set. The same elements were used on this card, except I used a Berry Sorbet block of cardstock. After heat embossing my Butterfly Folk Outline butterfly using white embossing powder, I sponged Hibiscus Burst ink on over the image. It just creates a beautiful, rich, shade outlining the butterfly. Once again, I added a smaller, vellum butterfly, and flowers from Butterfly Folk. My sentiment comes from the Cutaway Tags: Spring stamp set and is stamped on a die cut Wine Bottle Tag. One last example, uses Aqua Mist cardstock as my background, with a white heat embossed butterfly accented with Spring Rain ink. This might be my favorite combination :). I added flowers from the Botanical Bounty stamp set in Spring Rain, Aqua Mist, Lilac Grace, Lavender Moon, and Spring Moss. My sentiment and confetti come from the Kindness Counts stamp set. I added some of my favorite Spellbinders die cuts in the background, to dress up my white cardstock base. I've used the Blooming Garden Top Floral Panel and Swirl Leaf Branch. Hope you'll enjoy a little creative time this week and give this fun technique a try. Morning! I've got a couple of sweet, spring cards for you today, created for the SCT Magazine blog. I've used the darling Petal Palette stamp set and coordinating dies from Stampin' Up! on both of my cards along with some of my favorite Spellbinders dies. 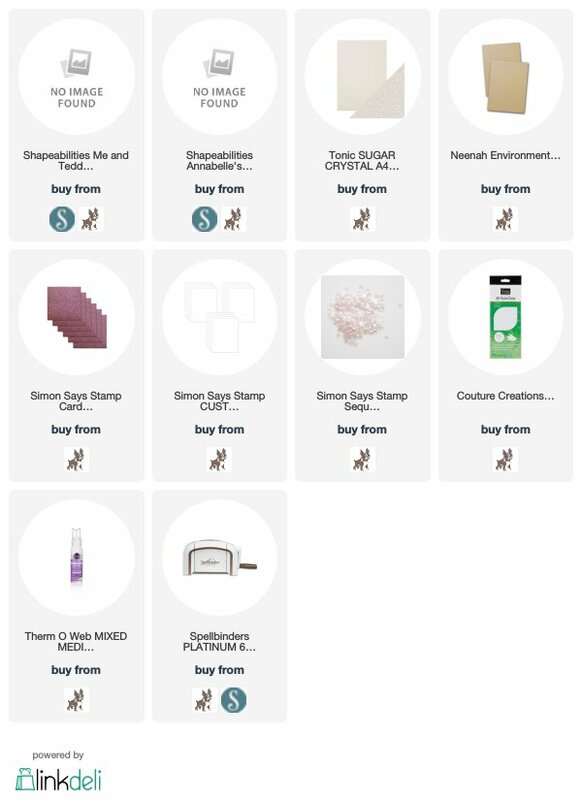 More details can be found on the SCT blog and supplies are listed for you below. Morning! Today I'm sharing cards created for Papertrey Ink's Simple to Spectacular blog feature. We are focusing on the Pedal Pusher stamp set, which is so much fun for springtime! The above card is my "Simple" project. You can see all of the same elements used throughout my cards, with one or two extra steps as well go. Each card uses the Noted: Simply Stitched A2 panel, which provides such a nice space where you can build your Pedal Pusher scene. I love the soft effect that the Sunburst Stencil collection adds, so you'll see the sun shining in the background on each card. For all of my cards I began with a white card base, followed by Bitty Big paper in a coordinating color. For my simple card, I used Sweet Blush paper, for the other two, I used Aqua Mist because of the additional colors brought in as I stepped up each card. You can see on this card, I added in a fence from the new Fence Line: Spring stamp set, with flowers stamped near the bottom. On my "Spectacular" card, I added in balloons and confetti. The balloons are from the Simple Impressions stamp set and dies and the Confetti is from the Kindness Counts stamp set. I had such a fun time creating this card...the sentiments in Pedal Pusher are so unique and creative and cover lots of different occasions. It's fun picking and choosing which images to nestle into the tiny basket on the bicycle. Be sure to visit the Papertrey Ink blog to see what the other designers have created to share. Thanks so much for visiting. Hope you'll give this challenge a try. Products are linked for you below. Welcome to the April Spellbinders Blog Hop! You're in for a delightful treat today as there are so many gorgeous Spellbinders dies being showcased. My card was created using the darling Little Loves collection from Sharyn Sowell....talk about irresistibly sweet! I have always loved silhouettes and creating with them in mind is such a treat. I've used the Me and Teddy Etched Little Loves die. I'll explain a bit about how I created my card. I LOVE my Spellbinders Platinum 6 Die Cut Machine...it cuts through all different types of mediums flawlessly, from paper, to chipboard, to fabric, etc. For this card, I just needed to die cut through my patterned paper and selected a soft, pink polka dot. Not show in the above photo, is a second cut using this die combined with pink glittered cardstock. I then selected another Spellbinders die in order to create a frame to highlight my Little Loves die cut. I used the Anabelle's Trousseau Layering Frame. I die cut the outer layer from patterned paper that resembles a sewing pattern, with my inner layer cut from Kraft cardstock, and then a white glitter cardstock outer layer. Next came the fun part...adding my die cuts, layers and embellishments. At the last minute, I decided to add a layer behind my silhouette using the pink glittered cardstock (shown below). This was such a fun card to create. The Little Loves dies are so creative and inspiring...can't wait to use them again. AND...If you comment on my blog by Sunday, April 22nd 11:59 pm EDT, you'll have another chance to win a $25 gift certificate to Spellbinders! Your next stop of the hop is Susie Lessard's wonderful blog...love her work! Below is a complete list of blog hop participants...enjoy! I love making Mother's Day cards...anyone else? I know this can be a hard occasion to create for and a hard to for many to celebrate. My heart goes out to you, if you're in this category....I am as well :). Infertility has not been a kind and gentle disease for me, it takes its toll every, single day... but I have to step back and remind myself of all I have instead of thinking about what I'm missing. One day my arms will be full and my Sierra will have siblings to love and enjoy. I created my card today using the new Best Mom stamp set from the Fluttering By Simon Says Stamp release. What a beautiful stamp set to create with, especially if you love to color! I stamped my image on watercolor cardstock using watermark ink and then heat embossed using white embossing powder. I then sponged on my ink colors and spritzed my cardstock with water to activate the colors. Love this effect. Next, I added a bit of color using my Zig Clean color makers. I cut my floral image from the cardstock base it was stamped on and layered it over my card base. I added stamped flowers to my background and a sentiment across the bottom, from the Tweet Wishes stamp set. Just want you to know I'm thinking of you sweet women in my life today, whether we've met before or not, whether you're my family or my friend, someone who feels forgotten or alone, someone fighting a silent battle each day...you are loved more than you'll ever know! Morning friends! Welcome to the last day of Papertrey Ink's April release....sure has been a fun month! Today we are introducing you to a new kit designed by Betsy Veldman called the Simple Impressions: Celebrations kit. It's designed with the new stamper in mind, but with the dies that are sold separately, can transform your card from simple to extraordinary....check out the PTI blog to see some amazing creations! For my card, I stuck to just the basic kit, nothing extra at all, and I loved creating with these simple items. It really did take me back to the days when I first started creating. The stamp set included in this kit is darling and perfectly thought out, as usual. The images and sentiments can be used for all of the many celebrations we encounter in life. I also love the sweet, patterned paper that is included...soft pastels to bold brights! Before I go, I just wanted to share an envelope I created to match the card, that uses the coordinating dies. This envelope is from my stash, and I simply die cut a few of the images from the stamp set and stamped them with ink included in the kit. As you can see, you can take this kit to many different levels. It's been a treat to work with it and I can't wait to create with it again. Thank you for visiting! All new products will be available on April 15th, 10PM EST, and at that time I'll link you up here as well. Helloooo! I'm back again today with more April release projects from Papertrey Ink. I am having so much fun with this release! I'm the first to admit that I struggle with masculine projects, but once I settle in and change mindsets a bit, I LOVE creating for the guys. This next round of products is all about them :). Lizzie Jones has designed the cutest gift card holder called the Shape Up Series: Tuxedo with a coordinating stamp set and dies called Dapper Chap. I had so much fun mixing and matching the patterns for my Shape Up Series: Tuxedo...but just wait until you see what the other designers have done. It's been so fun getting a peek at their projects :). The tiny shirt comes out of the jacket and vest, and this is where the gift card fits perfectly. I have to say that the bitty buttons are probably my most favorite element to all of this :). I used flowers from a new stamp and die set you'll be hearing more about tomorrow to create a little boutonniere for the jacket lapel. The bow tie is from the Dapper Chap stamp set and die collection...too cute for words. 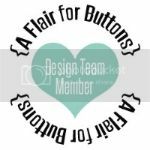 I created a coordination tag using the Scalloped Tags die that can be tucked down inside as well. I used the new Dapper Chap stamp set for my sentiment and the Plaid Stencil Collection behind my sentiment to create a subtle pattern. You'll love this stencil set...it's amazing! On my next card I've used the new Words to Live By: Work stamp set and dies along with the new Shape Shifters: Square die, and the new Corner Adorners: April stamp set. I layered two Shape Shifters: Square Dies, offsetting them from one another. The bottom layer was stamped using Bitty Big Sweet Blush paper, with the top layer cut from white cardstock. I used the Corner Adorner: April in the upper and lower corners, stamping in Aqua Mist and Spring Moss. I love the soft look this set lends. I then created my sentiment from the Words to Live By: Work stamp set and dies. The flowers are from the new Botanical Bounty stamp set. Such a fun card to create. 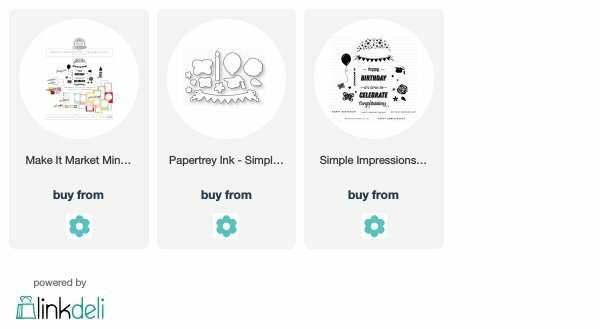 There's so much more to see on the Papertrey Ink blog and all of these new products will be available on April 15th, 10PM EST. Morning everyone! I have fallen in love with these next few products from Papertrey Ink that I'm sharing today....they make creating so much fun :). I've used the new Butterfly Folk and Butterfly Folk Outline on my first card. 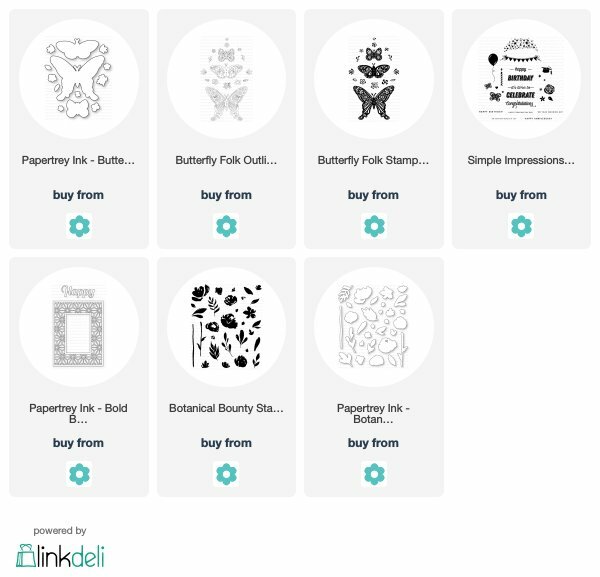 I started by stamping my Butterfly Folk Outline images on watercolor cardstock using watermark ink. I then heat embossed my images using white embossing powder. Next, I sponged ink over each butterfly, spritzed them with water and then added some soft white paint splatters. I adhered them to a block of white cardstock die cut using the new Simply Stitched A2 Vertical die. In the corners you'll see that I used Fine Linen ink to stamp the new Corner Adorners: April. Love this fun new set too! Lastly, I added my flowers, using both the Butterfly Folk and Butterfly Folk Outline sets. My sentiment comes from another new set you'll be hearing more about in a couple of days :). On my next card, I've used the beautiful, new Botanical Bounty stamp set for my florals. This set is just delicious! One of those must-have florals, you know? I was trying to channel my inner Cath Kidston on this card...anyone else love her like I do? I stamped in Pale Peony, Sweet Blush, Spring Rain, Mint Julep, Harvest Gold, Pure Poppy, Hibiscus Burst, Berry Sorbet, and Spring Moss. I used a sentiment from the Pen & Ink stamp set. I LOVE the new Bold Borders: Flare die. It's used to create the beautiful frame around my sentiment. It can go from bold and bright, to more of a soft, subtle accent, and that's the direction I went with it here. Before go, I wanted to show you a simple way to step up this project. I felt like some polka-dots were needed to further my Cath Kidston theme, so I used the Botanical Bounty dies with Bitty Big Aqua Mist paper and tucked a couple of the leaves in under my stamped images...simple addition, but I like it LOTS :). All of the delightful new products will be available on April 15th, 10PM EST at Papertrey Ink. Thank you for visiting! Hello friends! Welcome to Day 2 of Papertrey Ink's April release. The sweet sets I'm introducing you to today are especially for you dog lovers out there :). We've got 4 dogs here...all serving a different purpose on the farm, and I can't imagine life without them. I've used the new Paws & Kisses and A Bit More: Paws & Kisses stamp sets and their coordinating dies on my projects today. Each will be available for purchase on April 15th, 10Pm EST. I did cut this little pup from Saffron Spice cardstock, then stamped the outline in True Black, with his inner body color stamped in Fine Linen. I paper-pieced his tiny ears using Bitty Big Olive Twist paper. I then added spots to my puppy using embossing enamel, heated and melted into place. The sentiments in these sets are what make them so special. They are truly heart-warming and unique. I used Kraft cardstock and the You Have My Heart die to create my focal point. I then added myself sentiment and paws, heat embossing them with white embossing powder. In the background, I used the new Simply Stitched A2 Vertical dies to create my layers, using more Bitty Big Olive Twist and Soft Stone. I paper-pieced my pup on this card, stamping his ears in Americana ink. Across the bottom of my card, I added a second sentiment and puppy prints, stamping in Americana, Fine Linen, and Pure Poppy for the larger hearts. This sentiment is the truth! There are days that my dogs just totally seem to get me and understand and then all of the sudden, everything is better :). My sentiment is stamped in Honey Nut. More Bitty Big Olive Twist used across the top, with Bitty Big Honey Nut used on my pup. On my last card, I stamped my pup in Soft Stone ink with his ears stamped in Cocoa Bean. I then added spots to him by using images from a new stamp set you hear more about this month, the Corner Adorner: April set. The spots are stamped in Fine Linen. My sentiment was stamped on a die cut Scalloped Tag...love it! The new Shape Shifters: Square 1 die was used to create my focal point, cut from the New Gray, with puppy tracks stamped in Cocoa Bean around the edges. Thank you so much for stopping by. There's oodles more to see and enjoy on the Papertrey Ink blog! Good morning! 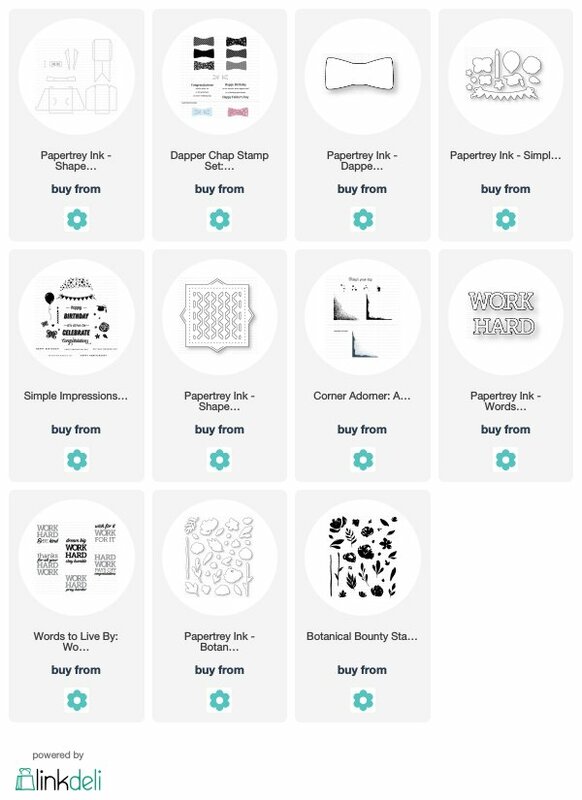 I apologize to those of you who have been checking to see my Papertrey Ink projects this morning....Typepad has been having lots of issues, prohibiting me from getting my post ready for you. 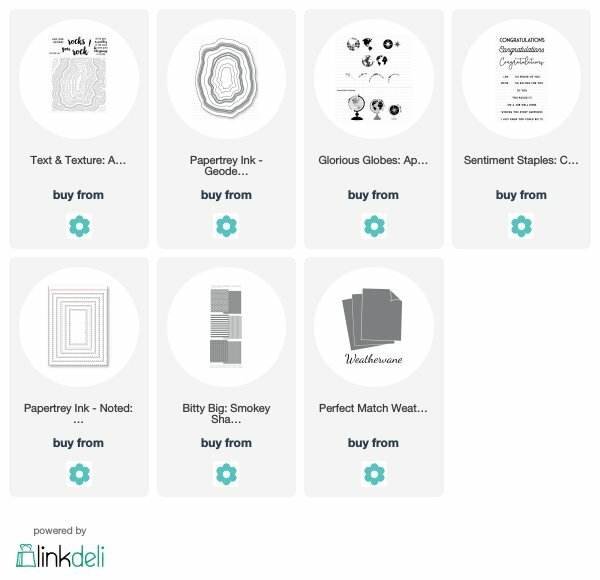 There are so many fun and unique new products available from Papertrey Ink this month! Today we are staring off with the new Text & Texture: Agate stamp set and coordinating dies. I used glitter cardstock in gold, white, silver, and pink to create my agate. If you're stumped or need inspiration when it comes to creating your agate, just look on Pinterest. There are so many gorgeous photos of agates there, that certainly jumpstarted my creativity. I used the New Gray cardstock to create my card base, stamping my sentiment across the bottom after adding a few white paint splatters. My sentiment was stamped in Stormy Sea ink. Across the top of my card, I used Bitty Big Soft Stone behind my die cut agate to bring in some softness and add a bit of pattern. For my second card, I've used thew new Glorious Globes: April stamp set along with the new Sentiment Staples: Congratulations stamp set. I used new Bitty Big Smokey Shadow for my background and then added a stamped block of white cardstock as my second layer, using the new Simply Stitched A2 Vertical dies. Images from the new Glorious Globes: April stamp set were used to create my background. I created my focal point by using Saffron Spice cardstock and the Ink it In: Mini Notebook stamp set and coordinating dies. I've been having so much fun with the Glorious Globes series...mostly in using new to me color combinations. I've used Aqua Mist, Americana, Olive Twist, Spring Moss, Ocean Tides, and Saffron Spice. Be sure to stop by the Papertrey Ink blog to see some of the most beautiful projects ever using these new stamp sets. All new products will be available on April 15th, 10PM EST. Hello there! Welcome to the Reverse Confetti April blog hop. This month we are celebrating all things family, mom, dad. graduation, etc. The next few months are loaded with lots of special occasions for special loved ones. My mom is one of my absolute favorite people. and I love creating just for her, so my card today is a Mother's Day card, created with her in mind. I used the Build A Bunch stamp set and coordinating Confetti Cuts for my colored blooms. I stamped them in watermark ink and then heat embossed them using gold embossing powder. I then added color using ink blending and Zig Clean Color Markers. I then used the Banner in Bloom stamp set and coordinating Confetti Cuts for my sentiment. These images are all layered over a die cut Lacy Scallop Circle. In the background, I used paper from Fun Times and Forever My Love 6x6 Paper Pads. I can't wait to see what the other designers have ready to share. Be sure to follow along, the links are listed for you below. Hi friends! Just popping in with a new card, created using some of my current favorite things. The beautiful frame around my butterfly is a die from Spellbinders that I can't put away. I love how delicate it is, and how it doesn't overpower anything, but sits beautifully on its own and lets you embellish however you wish. It is the Tiara Rondelle 3D Vignettes die from Spellbinders. After cutting it from white cardstock, I sponged ink over it in Summer Sunrise, Aqua Mist, Green Parakeet, and Pale Peony. Inside my frame, I used the large butterfly from Papertrey Ink's Butterfly Blooms stamp set. And, around the outer edges of my frame, I used the Stitching Garden stamp set. My sentiment is from the Ways to Say: I Love You Mini stamp set...both from Papertrey Ink. My large paper flowers are from Prima. I love their droopy, floppy gorgeousness :). Am I the only one who loves plaid? I have loved plaid for as long as I can remember and to this day, can't get enough :). Especially in my paper-crafting. My card today was created for Simon Says Stamp and uses the Sweet Elephants Wafer Dies from their new Best Days release. I used a variety of patterned paper to piece together my tiny elephants...the biggest reason I love these dies, is because they lend themselves so perfectly to mixing and matching patterns and colors. Along with the sweet elephant dies, I used the Wonky Stitched Squares, Sunny Skies, Stitched Sentiments, and Cloud 9 Die-namics from My Favorite Things. The darling Happy Together stamp set was used for the flowers behind my elephants and for my sentiment. Across the bottom, I used the Stitched Scallop Basic Edges 2 Die-namic...everything looks better with a few scallops and stitching...and plaid :). Supplies are linked for you below. Good morning! Today I am happy to be participating in a blog hop celebrating Autism Awareness, organized by Veronica Zalis. How special are the many individuals who have autism...they truly make this world brighter, more colorful, diverse, compassionate, understanding, and unique. I had to use this sentiment for this special occasion...I would use it for every person in my life, as it is so true to each one of us, isn't it? I used the Wild About You stamp set and coordinating dies from My Favorite Things on my card today, paper piecing and using Copics on my lion. I used the Radiating Rays stencil from My Favorite Things in the background, sponging ink over my stencil to create the sunbeams. I then used stitched circle dies to create my focal point, using a fun, playful plaid in the background that coordinated with my lion. Lastly, I embellished with some star dies cuts, sequins, and of course, finished with my sweet sentiment. Here is a list of all of the wonderful sponsors of this event! There are lots of amazing prizes to be given away! Sandy Allnock - Sponsor - 3 slots online classes and blog hop participation. I hope you'll take the time to enjoy this special blog hop today. Exciting news! Papertrey Ink is getting a new color for the April release and we couldn't be more thrilled! It is a beautiful medium gray and today the design team is sharing projects created with this great new color. Papertrey Ink is also asking you to help us name our new color! All of the details can be found on the Papertrey Ink blog. This color has already become my new favorite and looks beautiful paired with lots of different colors. 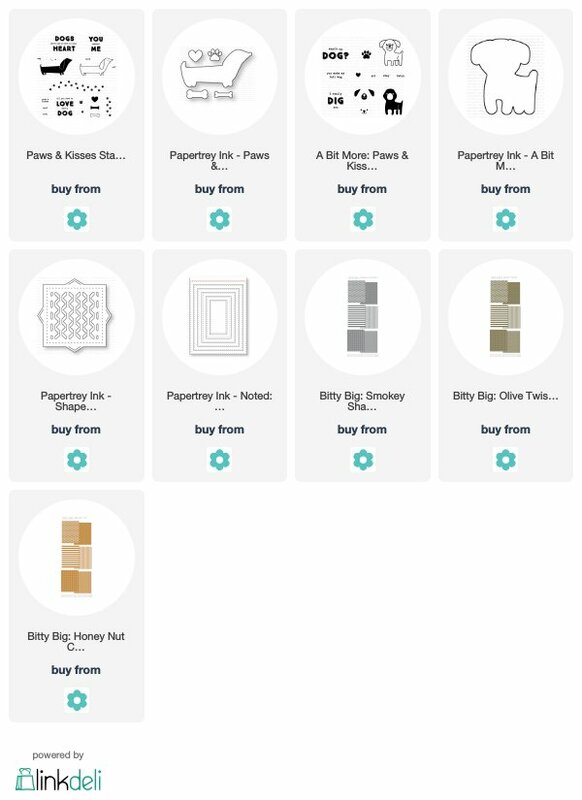 Sweet Lizzie Jones has made up color cards for you to enjoy as you create with this lovely new gray. Here are the combination of colors I used on my card today. I used the Fresh Bouquet stamp set and coordinating dies on my card, used the Shape Shifters: Circle 1 die in the background along with Bitty Big Aqua Mist and the new gray :)....what will you name it? Thanks for visiting. 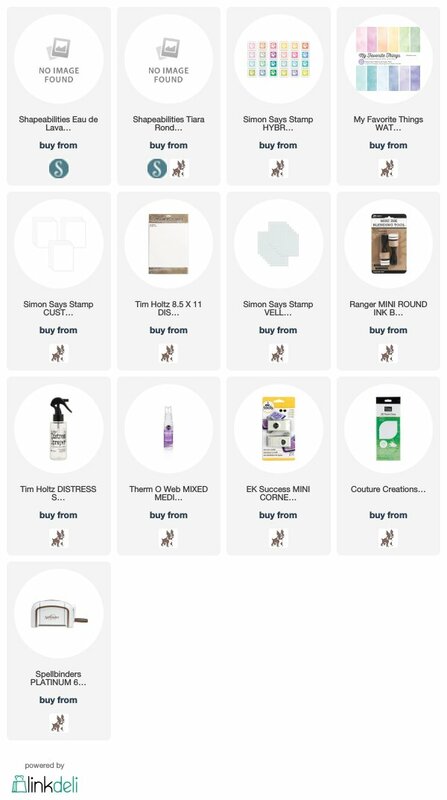 All of the supplies used are linked for you below.